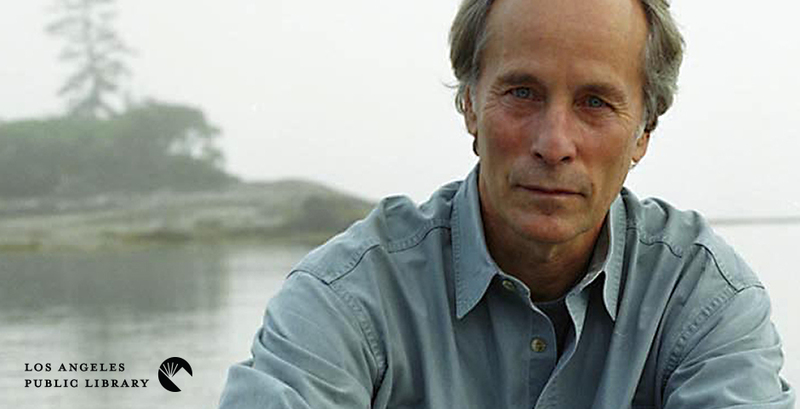 Richard Ford was born on February 16, 1944. Ford is a writer of novels and short stories; his best-known work is his series of books about former sportswriter Frank Bascombe. Ford entered Michigan State University planning to study hotel management, but developed a passion for literature, and switched his major to English. He has said that he thinks his mild dyslexia may have helped him to become a better reader, as it forces him to read more slowly and carefully. He briefly enlisted in the United States Marine Corps, but was discharged due to illness. He went on to get a Master's degree in creative writing from UC Irvine. Ford supported himself with occasional university teaching jobs while writing his first two novels, A Piece of My Heart (print) and The Ultimate Good Luck (e-book | print). Both were well received by critics, but neither sold well, and Ford took a job as a writer for Inside Sports magazine. When the magazine folded shortly after Ford began working there, he decided to give fiction another try. The result was his commercial breakthrough, 1982's The Sportswriter (e-book | print | audio). It's the first of his Frank Bascombe books; Frank is a failed novelist facing an emotional crisis after the death of his son. Ford has returned to the character in later novels Independence Day (e-book | e-audio | print | audio), which won the Pulitzer Prize, and The Lay of the Land (e-book | e-audio | print | audio), and in a collection of four novellas, Let Me Be Frank With You (e-book | e-audio | print | audio). The relatively upscale suburban life of Frank Bascombe is in sharp contrast to the characters in much of Ford's other fiction. The short story collection Rock Springs (e-book | print) is mostly set in Montana, and its characters are working-class men, usually struggling for financial survival. The novel Wildlife (e-book | print | audio) is also set in Montana and tells the story of a teenage boy watching as his parents' marriage collapses. Struggling families are a common theme in Ford's writing, which is often concerned with men trying to find meaning and connection in a world where basic institutions—family, community, religion—seem to be breaking down, and where society grows ever more obsessed with the present, losing touch with the rituals and history of the past. Ford's most recent book is Between Them (e-book | e-audio | print | audios), a memoir about his parents. Thomas Edison was born. Edison was one of America's great inventors, with more than 1,000 United States patents; his creations include the phonograph, the movie camera, and the electric lightbulb. Edison's laboratory at Menlo Park, New Jersey, was one of the first industrial research facilities, and he directed the work of a large staff in developing his ideas and inventions. Randall E. Stross's The Wizard of Menlo Park (e-book | print) looks not only at Edison's life as an inventor but at his life as one of his era's greatest celebrities. Jack Benny was born. Benny began his career in vaudeville as a teenager, eventually becoming a popular radio and television star. His radio program, which aired from 1932 to 1955, started as a variety show of comedy sketches and musical numbers, but slowly evolved into an early version of the sitcom, with plotlines built around Benny's fictional version of himself, a vain and self-centered miser. He took the show to television in 1949, and it ran until 1965. Episodes of Benny's radio show and his guest appearances on other shows are featured in a Classic Radio Spotlights collection. Chaim Potok was born. Potok was a rabbi and novelist whose books usually featured Jewish characters, often struggling to find a balance between traditional Jewish values and the contemporary world. Potok's first novel, The Chosen (e-book | print), is set in 1940s Brooklyn, where two friends find that each wants a different life than that his father has planned for him; Maximilian Schell, Rod Steiger, and Robby Benson star in the 1980 film version (streaming | DVD). Alan Parker was born. After a decade of writing and directing television commercials, Parker began making movies. He was not a prolific director, making only fourteen feature films between 1976 and 2003. He worked across a wide range of styles and genres, including the supernatural noir of Angel Heart, the stylized rock opera Pink Floyd: The Wall, and the light musical comedy of The Commitments.